Okay, are the kids gone? Good. Now we can fill you in on a little-known secret of Michigan: This place is jammed full of casinos. From Indian casinos—which is actually the bulk of them—to a couple of major franchise affairs, there are no shortage of places to drop a few dollars on a little gambling and a few exciting amenities besides. So grab your wallet and book a room, because here are 10 great Michigan casinos! This one is a personal favorite thanks to its expansive layout, its ultra-powerful ventilation—no worries about smoke clouds here—and above all else, it's amazing Saturdays only prime rib and crab leg buffet. Sure, the crab legs are always on hand, but throw in all you can eat prime rib along with everything else they've got and it's a recipe for one fantastic night. Recently opened in Wayland, the Gun Lake Casino is a smaller affair, but one with a clear bent for expansion. Keep an eye out for expansions which include a restaurant, nightclub, gaming floor and open up space for a new buffet. The Gun Lake Casino is clearly eager to be a player in the increasingly glutted gaming market in Michigan. Special bonus: Check out the $5 blackjack tables, easily one of the lowest table minimums I've ever seen. It is all but impossible to talk about casinos in Michigan without considering the Soaring Eagle, one of the first such entities in the Lower Peninsula in Mount Pleasant. Table games abound here, as do slots, and the rest of the facility is impressive by most any standard. Check out the hotel lobby with huge stone fireplace, the spa adjoining the hotel, the impressive hotel itself, the casino buffet, the Siniikaung Steak and Chop House and a host of other restaurants. Then, if that's starting to grate, there's golf not too far away either. A comparatively new casino located in Battle Creek, Firekeepers offers some unexpected advantages. While the gaming floor is much the same as other entries, Firekeepers offers a buffet with shifting options and a slate of other sit-down dining options as well. The big selling point on this one is the casino's hotel, which features the amazing presidential suite. Going for $750 a night, the presidential offers an included fireplace, Jacuzzi tub, and a grand piano, making it a match for nearly any upscale casino experience. Located not far from Traverse City in Williamstown, Turtle Creek Casino offers most everything Traverse City has to offer, but with the added bonus of gambling. And lots of it. With its own spa, your choice of three different kinds of hotel room, a 56,000-square-foot gambling venue, six different bars and restaurants including a complete buffet—the Seasons Buffet actually offers prime rib through most of the week with a special seafood buffet on Fridays—there will be no shortage of exciting options at Turtle Creek. The Upper Peninsula isn't lacking in casino action, and nowhere is that more readily apparent than with the Bay Mills Resort and Casino in Brimley. Featuring free drinks while actively gaming—that's beer, wine, and well drinks—along with two separate casino facilities, a 142-room hotel, and four different restaurants featuring a seafood buffet on weekends as well as Upper Peninsula culinary legend the pasty, choice will be the order of the day in Brimley's casino paradise. Another of the Upper Peninsula's casino jewels, Lac Vieux Desert Resort Casino in Watersmeet doesn't have near the desert you'd imagine it does based on the name. It does have, however, a complete sports bar and two other restaurants, which makes it right on par with most other casinos you'd find. Throw in a 200-acre golf course and the Lac Vieux will provide a little something for most anyone. There's even a different buffet every night of the week, from the Taco Tuesday taco bar to the Wednesday Turkey Feast buffet. The Greektown is part of a block of three casinos located in Detroit, and a lot of care and attention has been taken to making it a masterpiece. The Greektown offers incredible views of the Detroit skyline along with a staggering array of games to play. Seriously, they've not only got table games, but also electronic versions of table games, great for anyone who can't find a seat. Thirty stories, 400 rooms, and located right in the middle of Detroit's vibrant Greektown district, The Greektown Casino Hotel will deliver excitement and relaxation in the midst of opulent surroundings. The second of three magnificent Detroit casinos, the MGM Grand is every bit a match for its Las Vegas equivalents. Featuring a complete fitness center and pool, a full spa, suites measuring 1,000 square feet each, restaurants presented by no less than Wolfgang Puck, and dollar blackjack tables on the weekends, there's no shortage of things to see, do, taste, and experience in the midst of one of Detroit's—and indeed, Michigan's—premiere casinos. Finally, we come to the last item on the list, the MotorCity Casino Hotel. As the name suggests, it's in Detroit, and it's the third of three major Detroit casinos. 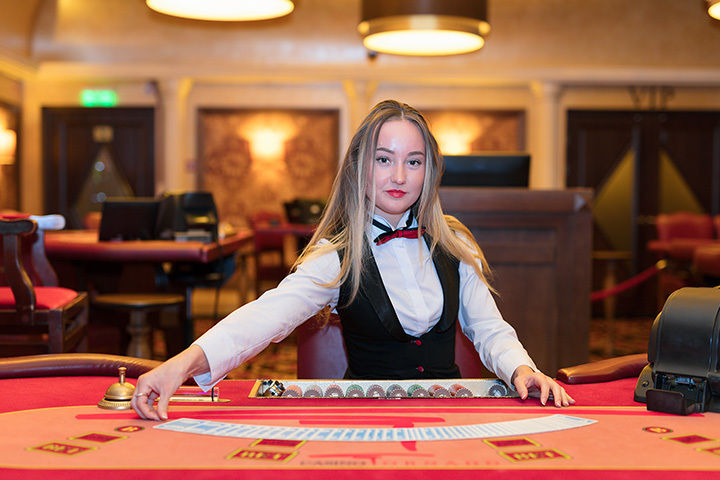 Featuring such unusual items as a hot chocolate bar as well as standards like a host of table games from blackjack to casino-style war, there's a lot going on. When the chocolate wears off and the games get tiring, check out a complete spa, several restaurant options for most any taste, and a hotel that won a four-diamond award from AAA, it's easy to see why so many come to MotorCity for their fun and downtime.